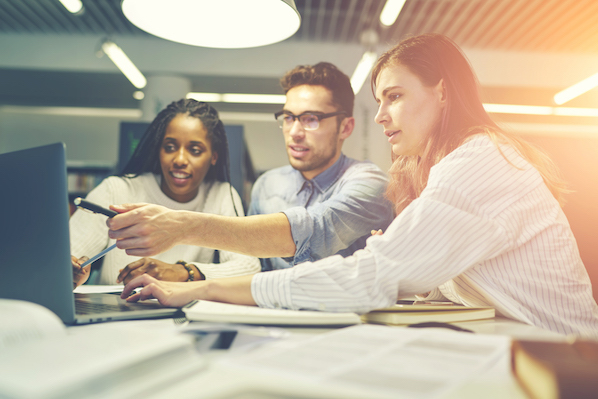 In fact, the average sales development representative performs almost 100 activities per day in an effort to engage prospective customers — including outreach via social media, phone calls, voicemails, and emails. However, only 24% of sales emails are ever opened. 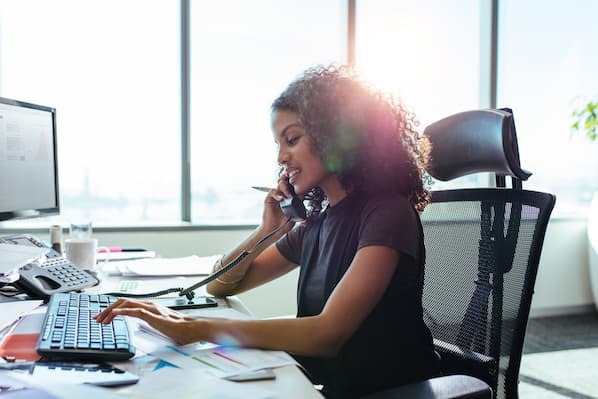 It also takes an average of 18 sales calls to connect with a potential buyer. These aren't very promising numbers. Working in sales is challenging. But this sort of challenge only served to fuel our team at HubSpot. They decided to tweak their prospect outreach strategy and try something a little different: Video. To learn more, I sat down with Cam Karosis and Ron DeCosta, two Business Development Representatives (BDRs) on HubSpot's Small Business team. A prospect has recently taken action on the HubSpot website that indicates interest. A potential growth opportunity for a prospect's business or website surfaces. If a prospective customer satisfies one of those two criteria, BDRs will follow up with a phone call or email. They'll also use the HubSpot CRM database to record any information or language relevant to a prospect's recent website activity: a CRM sign-up, content download, etc. Cam Karosis follows a more iterative process. He'll call a prospect, and if he doesn't get ahold of them, he'll Sequence them … unless it's more appropriate to send an individual, personalized email. "I prefer to have about four to six touches per prospect and up to 10 on Target Accounts," he said. Target Accounts are accounts that have been specifically assigned to BDRs to own, manage, and get on the phone. Karosis has found that, for those Target Accounts, a more personalized approach usually yields better results. "Otherwise, Sequences are a good way to elicit a response if you're trying to stay at the top of their inbox or connect with them through relevant language in one of the Sequence emails," he said. "I'm a big fan of staying respectfully persistent." Automate your follow-up emails and turn your most effective and repetitive sales emails into templates with HubSpot Email Sequences. Although Karosis has seen some success calling and Sequencing his prospects, he still felt like he could do more. Perhaps there was a way to make contact in a more innovative way. Ron DeCosta agreed. 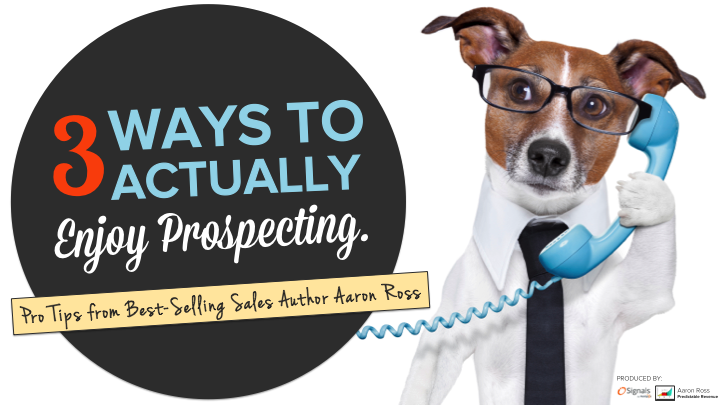 After leaving countless voicemails for prospects, he needed a creative outreach avenue. "I had gotten literally seven responses from the thousands of voicemails I'd left," he said. This is initially where the idea for video came into play. All HubSpot Sales teams have access to a video tool called Vidyard. "We were encouraged to use [Vidyard] to add an authentic personal touch to the outreach process," Karosis recalled. As a freelance video editor, Karosis immediately loved this idea. He began creating Vidyard videos for prospects, starting with a variety of candid videos of him sitting at his desk. He sourced companies with websites he could share on his screen as he recorded his videos. He recorded the website on-screen while discussing each prospect's traffic rankings and giving concise examples of where he saw missed opportunities. He also inquired about what was working and not working for the prospect. He filmed himself talking alongside their webpage so the two were visible at the same time. "I did this many, many times with companies, sometimes getting no results," Karosis admits. "But it was a good effort that made me feel like I went a little above and beyond to try to get in touch with these people." As the first to try video outreach, Karosis's efforts quickly rippled through his team and larger sales organization. Although some videos didn't see great results, the team acknowledged that a more creative, personalized approach to prospecting couldn't hurt. DeCosta was immediately intrigued. "In the same amount of time as a voicemail, I could record a personalized video and be able to see if they viewed it," he said. His efforts weren't wasted — after making his first 10 videos, DeCosta landed four prospect meetings, which was a much higher conversion rate than he experienced with voicemails. Karosis and DeCosta didn't stop there. They saw an opportunity to personalize their videos even more — by featuring a prospect's product in their video. Karosis purchased a hat from his prospect's clothing line, and DeCosta purchased his prospect's nutrition products from a sponsored Instagram ad. Both BDRs were genuine customers of the prospects they were pursuing. They decided to leverage this in their outreach videos. "It dawned on me that a Vidyard video with the hat on would be a much more impactful way to say ‘Hey, I'm a huge fan of your stuff'," Karosis said. "Not only did I buy their hat on my own accord, but I also wanted to see more people wearing their stuff — and I genuinely love helping the brands I like grow using a tool like HubSpot." The prospect had a great response to the video, and not long after, Karosis was scheduling meetings and showing demos. The specific response from the prospect was: "P.S. That video was slick. Great sales tactic with the hat! That certainly pulled you out of the sea of sales emails I get all the time, and set you apart from the rest." DeCosta had a similar experience. The day his order arrived, he looked up the prospect and noticed it was a Target Account. 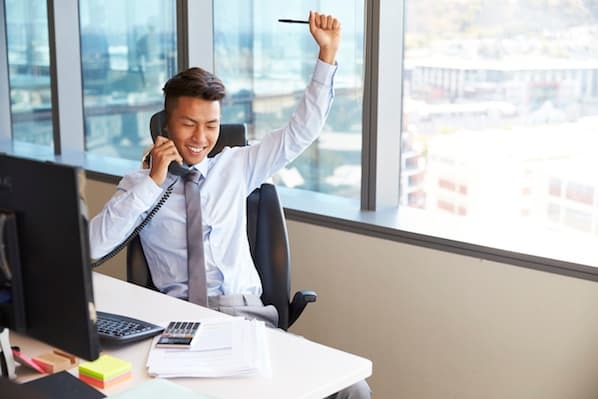 Activity on the CRM indicated that it was a high-priority account and that his team was working to connect with the prospect. "I recorded a Vidyard showing I was a fan of the brand and their ad strategy. It worked, and I ended up scheduling a meeting the following week," DeCosta explained. "I've found that prospects love [the Vidyard messages] because it's a chance to not only show you're a fan of their brand but to also point out opportunities on their website or holes in their strategy. I also show them where they could put a call-to-action or what content they could be gating to generate more leads on their site — and prospects appreciate the free advice." Karosis and DeCosta's videos led to increased engagement across the board. 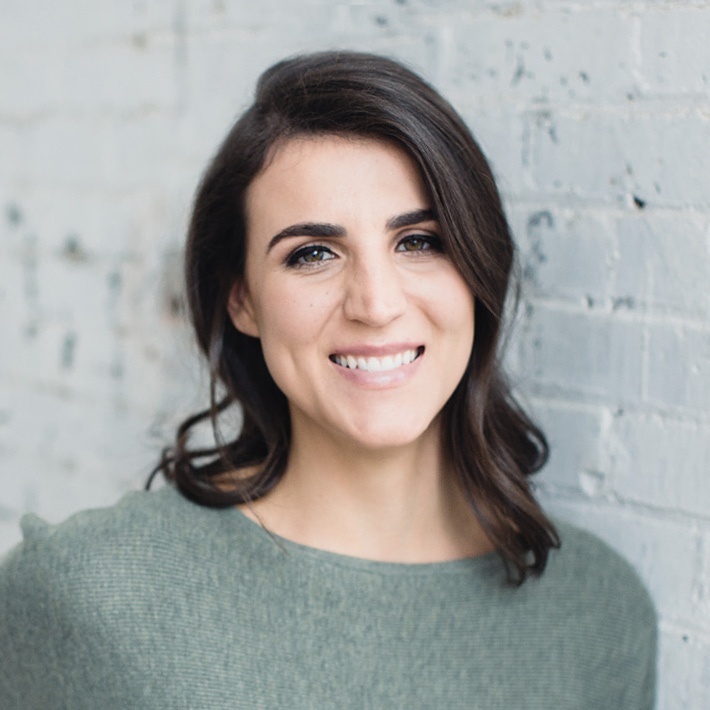 Their Vidyard experiences also led to many team members recording their own videos, making authentic connections with prospects, and closing deals of their own. To readers who are looking to implement similar strategies, Karosis and DeCosta have some advice: "Don't dilute your video messaging," DeCosta implores. "Be smart and strategic, always add value, keep it short, and keep it extremely personalized." Karosis finds this strategy particularly helpful for companies who sell a product that's better explained or shown in person. For those companies, include a concise product demo right in your marketing emails, and include a link to your website to give prospects an opportunity to further educate themselves. "In my opinion, the tool is less important than the effort," Karosis says. "Just get out there and give it a real try, measure the results, and keep at it if it's a working formula!" Does video help close more deals? The team can't yet say for sure, but they intend to continue to use the Vidyard tool. This experiment was just the beginning. Video is still working its way into sales prospecting and engagement. Stay tuned for results!